Because you want to have a clear plan to reduce the financial challenges that death can cause. 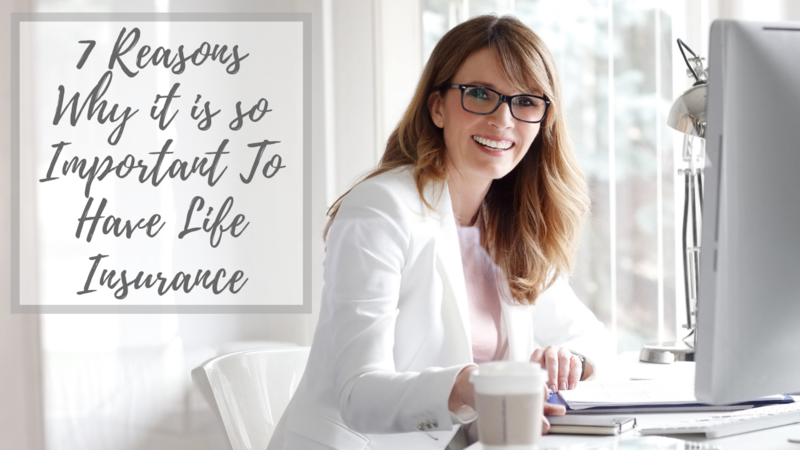 Having insurance can help your family to pay off the house, all the debt, have money for children education, have the income from that person for at least ten more years for the surviving spouse, and pay for the funeral and children’s education. Because it is free money bought at a discount. This is the basic definition of insurance. Would you rather have a check that covers all your unexpected expenses or instead have to open a GoFundme Account and hope that there are enough donations to cover the costs? I prefer to bring you a check than flowers to your funeral. It is just peace of mind. Because it leaves a legacy for generations to come. The right life insurance, not only protect you now and your loved ones, but also can leave a legacy to your future generations. Because the new life Insurance also protects you while you are alive. The old insurance was only if you die. The new insurance also protect you if you are alive and have an unfortunate event that limits your ability to perform your daily activities. Because it can grow your money tax-free. If your life insurance is prepared correctly, you can use as a cash accumulation asset. And the best part, it could be tax exempt. Because taxes are the other thing that is certain and can be a considerable expense. You get taxed when you are alive, and you also get taxed if you die. Because it can help you with your retirement. Not all types of life insurance can help you grow your money for retirement. But there are some that allow you to do just that, with a good rate of return and low risk. I hope you find this information valuable. Again, consider checking your options. There are available for everyone, including you. If you want more information, please let me know, and I’ll connect you with our team to help you take a look at some options. Just contact us.